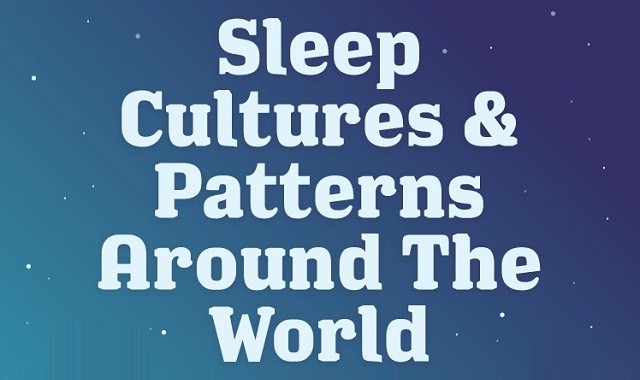 Sleep Habits Around the World #infographic ~ Visualistan '+g+"
The benefits of a good night’s sleep are undisputed. It helps improve our memory and mood, can assist with weight loss and enhance athletic performance, reduce our chance of developing diabetes, is good for our heart, and is just all-round vital to our overall health and well-being. But the way we sleep – how much, how well, and even what we sleep on – varies significantly from person-to-person, and between climates and cultures. So who’s getting the best sleep (and the worst)? And what lessons can we take away from the habits of those who sleep better or worse than ourselves, to help improve the quality of our own sleep?